TradeCity: Toronto is a new expeirmental art game made by Golboo Amani that begins April 1st (no fooling’) and runs to the 12th. The game is set in Toronto and you need to physically traverse the city to play the game. TradeCity will expose players to really cool organizations in the city that they may have previously been unaware of. I’ve had the chance to help Golboo on this project as an advisor so it’s really exciting to see the game about to start. You should sign up soon as space is limited and it looks like it’s going to be a some bizarre fun! 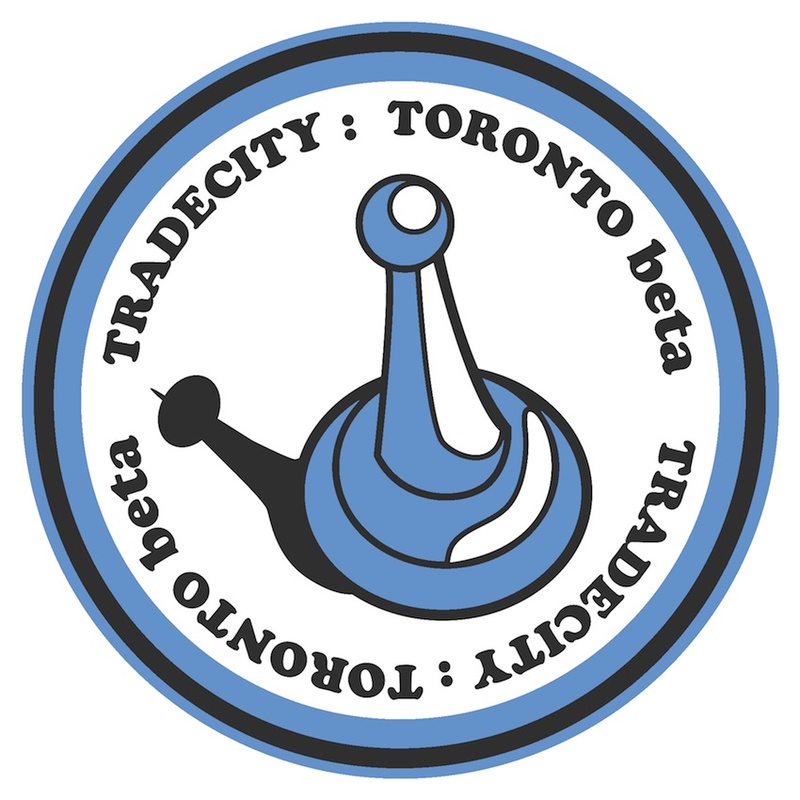 TradeCity: Toronto beta is a live reality game that takes place from April 1st to 12th 2014, throughout Metro Toronto. TradeCity is an experimental art project by Toronto-based artist Golboo Amani. Amani has partnered up with various co-operative communities to design an exciting game that is both fun and challenging! TradeCity:Toronto is an adventure based game that explores Toronto by asking Players to compete in site-specific as well as virtual challenges. There are dozens of chances to win prizes by demonstrating your gaming skills! To play you must register in person on April 1, 2014 from 7pm to 9pm at TradeCity: Toronto beta Headquarters, University of Toronto Art Centre, 15 King’s College Circle. Players can register as a team or as individual players. You must be 18 years or older to play. Registration is FREE! For more information visit tradecitygame.com. This new video by Dizzee Rascal is rampant GIF material, or is it entirely inspired by GIFs. I don’t know. Dizzee Rascal | I Don’t Need A Reason from DIVISION on Vimeo. Regardless, it got me thinking of the new aesthetic, which is a newish sort of art movement thing (yes, it’s that vague). In that linked Wikipedia article there is now a better description of what the new aesthic is from Matthew Battles than the last time I saw the article. New Aesthetic is a collaborative attempt to draw a circle around several species of aesthetic activity—including but not limited to drone photography, ubiquitous surveillance, glitch imagery, Streetview photography, 8-bit net nostalgia. Central to the New Aesthetic is a sense that we’re learning to “wave at machines”—and that perhaps in their glitchy, buzzy, algorithmic ways, they’re beginning to wave back in earnest. And now there is a Tumblr on new aesthetics.